i just finished this lovely little mint green short sleeve crochet shrug in a lacy filigree design. normally i would have this up and listed on etsy, but i am waiting for them to reply back to me because my accounts (http://www.gogogotobot.etsy.com and http://www.mitzyedith.etsy.com) were deactivated. i was very ill and had no way to get to a computer, nevertheless be able to ship the items i had sold. Dear beautiful Gypsies, Elves, and Faeries! Beautiful Vintage Gypsy Pendants for Sale! Each is Handmade with Love! Most pendants are only $10, including shipping! My recent shoot with Ellen Rococo, she is also the designer of all the accessories. Does anyone know of any boho/hippy fashion blogs to recommend? Either shopping or just general interest? Though some of the fashions they love are from chic mags like Vogue, rather than a unique style. 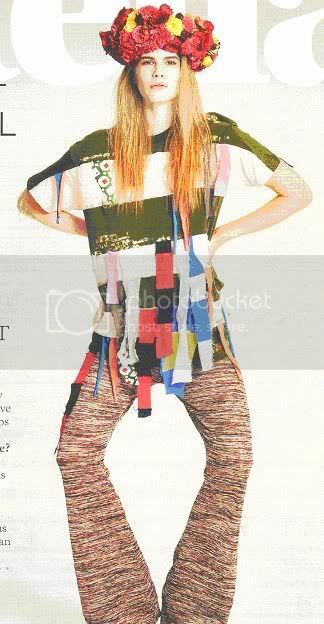 I found these jems in a Sunday newspaper article and think the trousers and skirt are especially amazing.